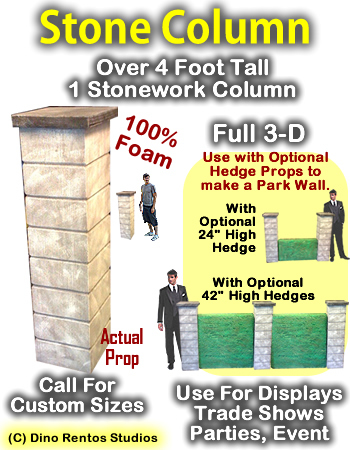 4 Foot Stone Column - Dino Rentos Studios, INC.
12" square column with 14" square cap. This is a single stone column, usually used as an entrance way. Perfect for stage productions, trade shows, events, retail displays, parties, and more. Use with our Hedge Walls to create a decorative fence.